I’m not here today to talk to you about cutting edge scientific technologies or best management practices for land management, there are plenty of experts here to do that. I am here to talk about the importance of properly communicating the principles of conservation agriculture and forestry to private landowners. Private landowners have a complicated dual role of providing us with food, fiber and energy and stewarding the land to conserve natural ecosystem resources and functions. We are all acutely aware of this dichotomy as most estimates project that we will need to feed, clothe, and shelter over 9 billion people by 2050. In order to meet ever increasing global demands more land managers must be at the forefront in implementing innovative conservation agriculture and forestry techniques that maximize yield, while minimizing resource inputs and impacts. The principles of conservation agriculture are clear; implement no-till farming, create a permanent soil cover, and multi-species crop rotation, but practicing conservation agriculture is not a one-sized fits all approach to land management. Land types, uses and users vary, which makes it essential that managers have access to the full range of options available to them in order to determine which tools, or combination of tools, are the best for them and their land. More importantly, it is crucial that the information is portrayed in a way that is comprehensive, reliable, and void of political or idealistic pressures. The conversation needs to be about the land and the landowner’s business. It must be cognizant that this is about a farmer, rancher and forester and their community’s livelihood as well as how conservation agriculture can better the environment. According to the U.S. World Bank, 45% of the U.S. is agricultural land, or land that is arable, under permanent crops, and under permanent pastures. This land generates about $143 billion worth of crops and $153 billion worth of livestock each year. These numbers make it clear that private landowners are the key stewards of natural resources as well as vital for the economy. Farmers should be applauded; today they produce 262% more food with 2% few inputs compared to 1950. However, there is still a balance that has yet to be struck. According to the EPA, greenhouse gas emissions from agriculture have increased by about 19% since 1990. Cattle and rice farms produce methane, fertilized fields leach nitrous oxide, and deforestation and conversion of forests to crop and ranchland releases carbon dioxide into the air. As more parts of the world are experiencing drought, there is a rising concern about agriculture’s water use and how after use water can return back into lakes and oceans contaminated with soil and fertilizers. We are also acutely aware of the impact agriculture has on wildlife, where it can fragment ecosystems and eliminate habitat. Conservation Agriculture is an integral foundation for this shift, but needs to be effectively conveyed to land managers so as to get as many people on board to make the move effective. LandCAN is a national and international nonprofit organization that provides information and resources to private landowners of working landscapes to further the conservation of family farms, forests and ranches. LandCAN focuses on promoting conservation in a way that promotes rural economies and ensures resources are viable for generations to come. Knowing that each farmer is as unique as their land, LandCAN maintains a database of information and resources for private land managers in the United States. LandCAN hosts a wide range of informational articles on the wide range of conservation techniques that is applicable to private land. To reach and encourage more land managers to participate in conservation agriculture LandCAN’s websites are designed like an open library, so that people can freely browse through introductory and professional articles on conservation tools, such as cover crops, no-till farming, and water saving irrigation techniques. The LandCAN takes private landowners from information to the implementation phase by providing enrollment information for federal, state, nonprofit and private sector programs that can provide financial and technical assistance. LandCAN focuses on voluntary and incentive based programs for implementing conservation agriculture and forestry. These programs are instrumental in building flexibility and monetary support for implementing conservation agriculture, ranch and forest practices on private land. Farm Bill programs are a staple on the LandCAN, such as the Conservation Reserve Program, Environmental Quality Incentives Program, and the new Agricultural Conservation Easement Program. But, the LandCAN goes a step further and also provides information on state and private grant programs for private land conservation, organic certification programs, state and nonprofit funding, conservation easements, and ecosystem credit markets. Farmers, ranchers and forest owners have a wide variety of options when it comes to funding and implementing conservation agriculture on their land and LandCAN supports their out of the box thinking for how they would like to accomplish that, whether it be through cost share programs, grants, agrotourism, or the free market. The LandCAN also provides localized contact information for professionals and organizations. Through an interactive map, LandCAN pinpoints soil and water conservation districts, cooperative extensions, land trusts and other conservation professionals, including land consultants, farm equipment distributors, ecologists, biologists, biofuel distributors and seed suppliers. Connecting people to professionals in their area is incredibly important in maintaining the economic health of rural economies. The 2012 Agricultural Census found that the average age of farmers in the U.S. is 58 years old, increasing from 57 years old in the 2007 census. While the 55-75 year old category grew by over 54,000 farms the 35-44 year old age category lost over 54,000 farms. The greying tsunami is hitting rural America and there is a real need for ensuring that family farms are successfully transferred to future generations without being subdivided and sold. The Conservation Tax Center specifically focuses on conservation tax incentives available to landowners, such as conservation easements and current use property appraisals, and how they can work with estate planning for farms, ranches and forest land. These tools ensure that farms are successfully passed to future generations without facing the threat of being sold, divided, and developed due to transfer taxes and lack of a sufficient estate plan. When adopting agricultural conservation, the focus is not only on managing land well today, but ensuring that there is a plan for keeping working landscapes ecologically and economically sound in the future. LandCAN also provides information on what to do if there are important ecological features on private land, such as wetlands, endangered or threatened species, or rare habitat. The Conservation Habitat Management Portal focuses on helping landowners manage habitat for declining species. The inaugural species was the Lesser Prairie Chicken and we are now adding resources on conserving habitat for the Sage Grouse. The Endangered Species Act is applying more and more to species on private land, and land owners need information and resources on how to proactively conserve species habitat to preclude the need to list the species and navigate through the regulatory field. Internationally, LandCAN hosts Wilderness Wildlife Trust and Children in the Wilderness. 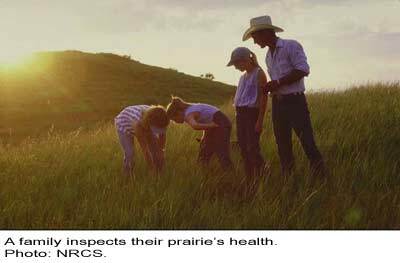 Children in the Wilderness is an environmental and life skills educational program that focuses on the next generation of rural decision makers. It develops environmental leaders who are inspired to care for their natural heritage so that they become the custodians of these areas in the future. Through exposing children to their wildlife heritage, Children in the Wilderness creates a network of learning sanctuaries that uplifts, conserves and cares for our children and the planet. Wilderness Wildlife Trust supports a wide variety of projects in southern Africa, within the categories of wildlife management, research and education. These projects address the needs of existing wildlife populations, seek solutions to save endangered species and provide education and training for local people and their communities. One of the Trust’s most vital projects is Rhino Conservation Botswana. Children in the Wilderness and Wilderness Wildlife Trust are exemplary programs because they focus on involving local people as integral participants in the conservation of natural resources. Known as Community Based Conservation, this approach places the responsibility and the benefits of land stewardship on the people who depend most on their resources. The underpinning of LandCAN’s national and international programs is to identify the people who work most closely with the land and natural resources and empower them to implement conservation in the way that works best for them and their business. Through education there is the impetus for implementation. However, to fully encourage conservation agriculture and forestry, the conversation must be based on the importance of conservation and with the right tools also economically viable. Agriculture is not the demise of the world; it is the key to saving it. USDA National Agricultural Statistics Service. Crop Production. March 8th, 2013. American Farm Bureau, Fast Facts About Agriculture, last visited June 19, 2014. U.S. Environmental Protection Agency, Sources of Greenhouse Gas Emissions. Eller, Donnelle, Corn Production Needs to be More Sustainable, Environmental Investor Group Says. The Des Moines Register, June 11, 2014. 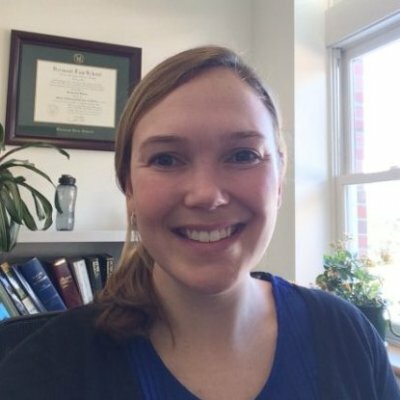 Breana is the Staff Attorney at the Maine Municipal Association (MMA). She provides legal advice to municipal officials in member municipalities in Maine. Lectures at the MMA Town Meeting and Elections workshops. She reviews and edits manuals and information packets for MMA. Read more about Breana Behrens. Previously, she was the Director of the Conservation Tax Center at LandCAN where she assisted private landowners in conserving their working land through tax incentives and estate planning. Helped develop a website for endangered species management on private land.